Today I’ve got something very exciting to share! 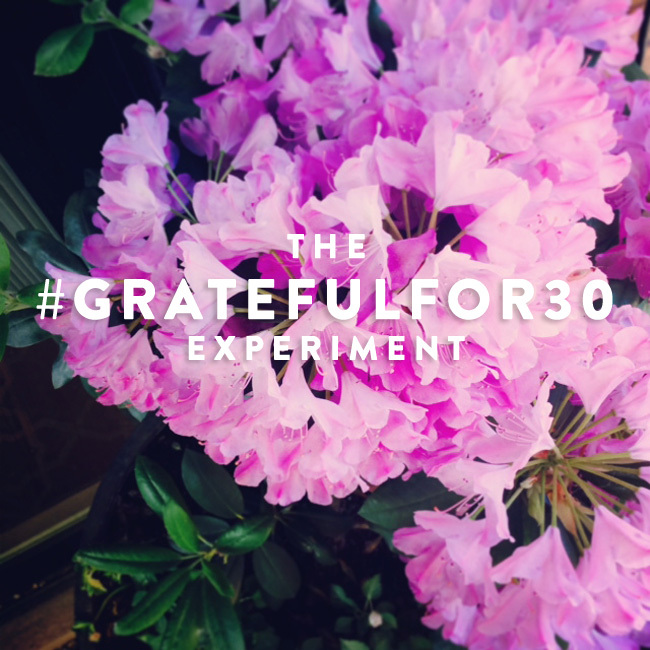 I’d love to have you join me in The #GratefulfFor30 Experiment. Gratitude and joy are so intertwined that it is hard to experience one without the other. While joy can seem illusive, gratitude is a practice that we can deliberately weave into our lives. By practicing gratitude, we can actually increase our experience of gratefulness – and subsequently we are much more likely to experience joy. For the past few months, I’ve been strengthening my gratitude muscles by setting two alerts on my phone each day that remind me to find five things that I’m grateful for in the present moment. As I’ve shared in December, that ritual worked quite well and even helped me strengthen my presence muscles as well! But after six months, I’ve become immune to the gratitude alerts. They pop up on my phone and I pass over them. Like a restless exerciser, I’m eager to mix things up. So for the next month I’m trying a new gratitude experiment. I’d love to form a new ritual — with you! We will simply snap a photo of one thing (or things) that we are grateful for everyday day for 30 days and share it on Instagram and/or Twitter using the hashtag #GratefulFor30. I’m curious to see if this new gratitude practice will help those of us who try this experiment experience more joy and gratitude. This isn’t about simply making the “prettiest pictures” or comparing our gratitude with others. It is simply a way we can all take some time in our days to share our gratitude for the blessings in our lives and support each other along the way. If you happen to miss a day? No big deal. Simply pick up where you left off the following day. Or consider adding an extra day at the end to capture a full 30 moments. Or do two moments in one day to catch up. The choice is yours! Find me and share your pics! I’ll be on Instagram and Twitter monitoring the #GratefulFor30 hashtag and checking out all the moments you share! 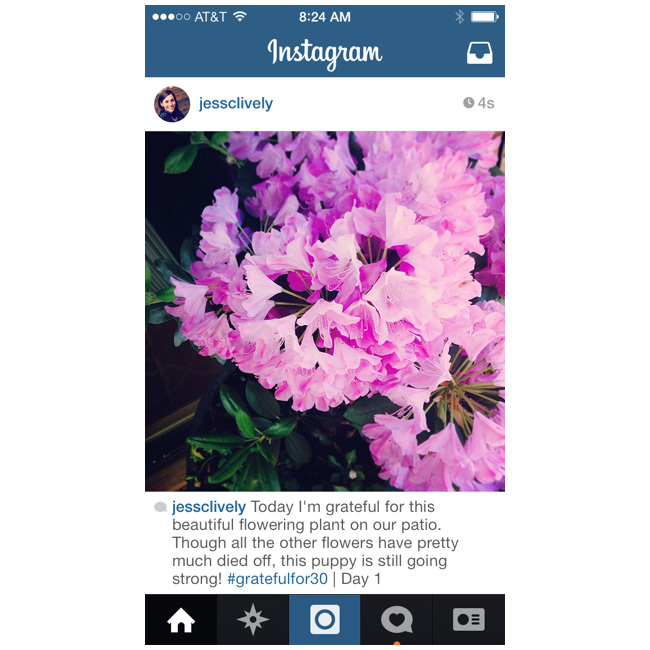 You’ll find me on both Twitter and Instagram at @JessCLively. Want to share the challenge/experiment with your friends? Click the tweet below to spread the word! Want more gratefulness? Join The #GratefulFor30 Experiment + share 30 days of gratitude! PS – Life with Intention Online is currently getting a head to toe makeover – going from a one-week course to a five week online program with all the bells and whistles to make the learning experience as awesome as the content itself.